The Lowdown: See it for the haunting performance by Kristen Stewart, who tries valiantly (without complete success) to rescue this intermittently interesting paranormal thriller from its director’s muddled vision. Somewhere deep within the myriad plot threads of Personal Shopper there may have been an emotionally satisfying story. We’ll never know, because writer-director Olivier Assayas (Clouds of Sils Maria) has absolutely no idea what he’s trying to say here. 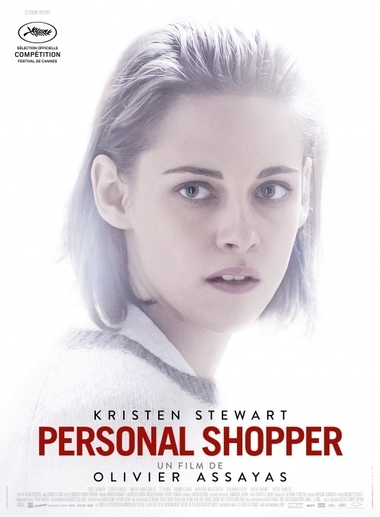 That’s frustrating since Personal Shopper is frequently gripping on a scene-by-scene basis. It’s a ghost story (complete with apparitions spewing ectoplasm) and something of a murder mystery. But Assayas completely bungles the almost every individual element, leading to a film that seems to represent something but is essentially empty. At its core is an engaging performance by Kristen Stewart as Maureen, a medium who’s in deep mourning over the passing of her twin brother Lewis. The siblings share the same congenital heart defect. Maureen simultaneously frets over the possibility she too will fall victim to the defect, all while openly exacerbating heart issues by smoking. She and Lewis made a pact: whoever died first would send the other a message from the great beyond. So Maureen bides her time in Paris (where Lewis died) and London, working as a “personal shopper” buying clothes for a celebrity model. In fits and starts, Assayas effectively lays on thick, spooky paranormal atmosphere. But it would’ve been better had he kept Maureen’s medium abilities ambiguous. Her crippling denial of the finality of Lewis’ death would’ve been more effective if the audience was left guessing as to whether or not she truly can communicate with the deceased. Even as a chronicle of the grieving process Shopper falls exceptionally flat, despite the best efforts of Stewart. As an actress she puts in overtime in order to make something out of very little. Assayas exerts minimal effort in illuminating the bond that Maureen and Lewis obviously shared. Her quest to make contact with Lewis is muddied by her literal contact with a variety of other unidentified spirits (i.e. the aforementioned apparitions). As Maureen travels from Paris to London, she begins conversing via cryptic text messages with a mysterious, unknown person. At one point she even openly wonders if she’s receiving texts from Lewis (what kind of person was Lewis, exactly, that he would’ve taunted her with such nonsense?). All this leads to a third act murder that makes absolutely zero sense. None. The murder, the ghosts Maureen talks to, and Maureen’s celeb employer Kyra (Nora von Waldstätten)—none of these key elements ever intertwine in anything approaching coherency. Whether Personal Shopper was the victim of indiscriminate editing or simply the result of Olivier Assayas’ lack of clear vision, the finished film is a mess.